Since signing a local distribution agreement in May 2015 with global 3D printing technology company, 3D Systems, Konica Minolta has expanded its printing business in the local market. The company has appointed additional regional sales specialists, product servicing capabilities and warehousing logistics. 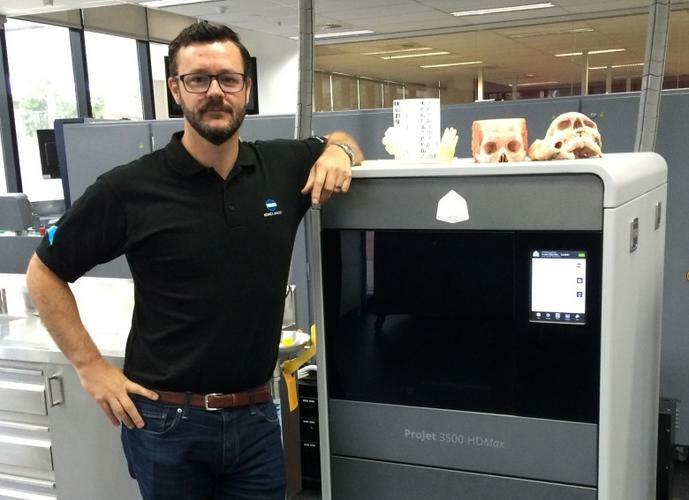 Konica Minolta national manager 3D printing, Matthew Hunter, said the business was expected to record strong growth over the coming year as a result. “Naturally, we expect to be putting more even more resources into our 3D printing business as this demand occurs. Industries, such as manufacturing that have been using 3D printing since its introduction, have matured to a point where they are able to receive the desired output from these machines,” Hunter said. The company said two local challenges for the industry that Konica Minolta seeks to address is the service response and finance offerings that support these critical pieces of infrastructure. Hunter said these two areas are critical, yet are often overlooked by organisations seeking to transform. “What Konica Minolta brings to the market is guaranteed same-day service response nation-wide, along with rental and operating lease options, which negates the need for our customers to outlay capital expenditure,” Hunter said.